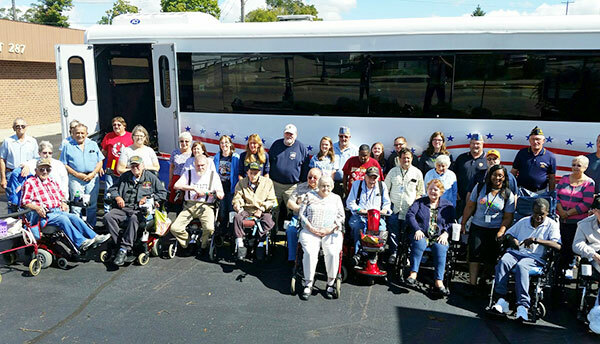 Residents of the Grand Rapids Home for Veterans visited the American Legion in Cedar Springs. 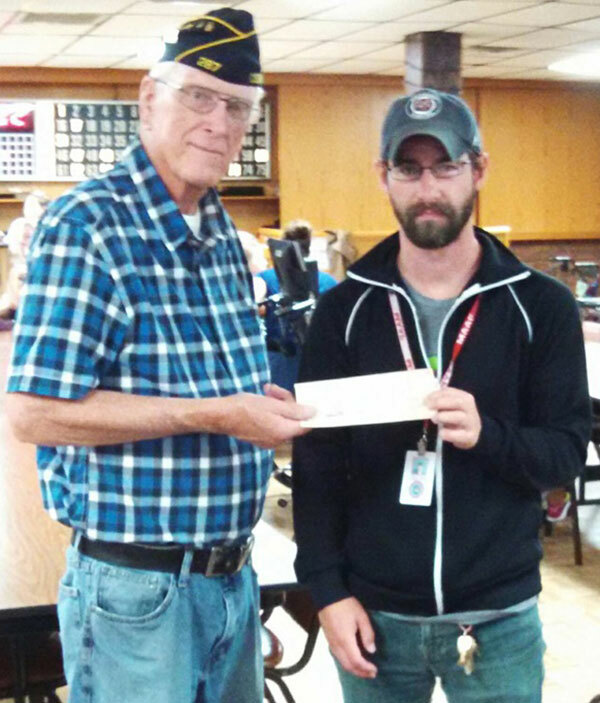 Shown presenting a check in the amount of $200.00 to the Vet’s Home is Post Commander Bill Yuncker. The American Legion in Cedar Springs was host to residents of the Grand Rapids Home for Veterans on September 17, 2016. While at the American Legion, the veterans were treated to a Swiss steak lunch, and then played many games of bingo with prizes. The Glen Hill Post 287 Family has been holding this event for the veterans for many years. This is one of the activities that Post 287 takes pride and enjoyment in sponsoring. In late July, Post 287 provided an activity tent with prizes for the veterans and their family members at the annual Veteran’s Carnival at the Home for Veterans.